European Central Bank omerta over deflation is hindering this year’s bank stress test. Investors like the fact the ECB is the driving force behind this year’s vital pre-banking union health check, as it should be more robust than previous ones led by the weaker European Banking Authority. But judging by this year’s methodology, the ECB also has blind spots. An EBA similar exercise in 2011 failed a basic credibility test: it didn’t include the possibility of the sovereign default of a monetary union member – in the midst of the euro zone crisis. The methodology for the 2014 test, described on April 29, is tougher. But by not basing its adverse scenario on the bugbear feared this time around by investors – the possibility of sustained falling prices in the euro zone – it looks like it is making the same structural mistake. The absence of a deflation scenario is all the more odd, given that the stress tests do include the possibility of U.S. prices falling by up to 3 percent, with a peak-to-trough GDP decline of only 1.8 percent, according to Moody’s. In the worst case scenario, euro zone GDP falls harder – by 2.9 percent – but inflation remains positive, even though it is already down to 0.7 percent in the euro zone on average. The (many) relevant authorities aren’t keen to share why their “severe” scenario looks so bullish on deflation. The EBA, which is still nominally handling the test methodology to be used by each bank’s national regulator, was keen to point out to Reuters Breakingviews that the exercise’s macro inputs were devised by the European Systemic Risk Board, a group that includes the European Central Bank president and European Union national central bankers. A spokesperson for the ESRB wouldn’t comment on the lack of a deflation scenario. The kind interpretation is that years of falling prices are implausible given that the central bank would intervene with various measures like quantitative easing to stop the rot. But a simpler reason could well be political: Frankfurt cannot be seen endorsing a scenario that would imply it would have failed miserably at its only mandate: keeping inflation at “below but close” to 2 percent. Bank investors will have to hope the need to spare its own blushes won’t undermine the credibility of a test in which the ECB has invested so much political capital. A too-long period of very low inflation risked unanchoring long-term inflation expectations, the ECB’s Yves Mersch said in the text of a speech delivered in Munich. 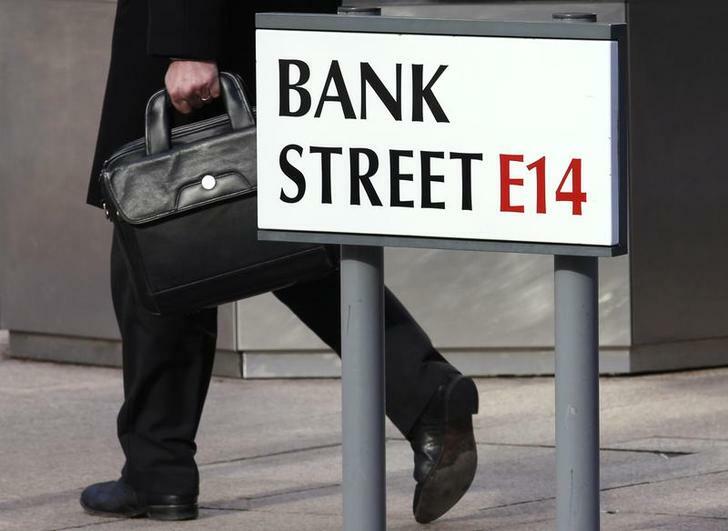 A spokesperson for the European Banking Authority referred Reuters Breakingviews to the European Systemic Risk Board when asked why its stress test methodology did not include a deflationary scenario. The EBA said the adverse scenario was deemed most appropriate by the ESRB at this time, and approved by the EBA. A spokesperson for the European Systemic Risk Board described the adverse scenario as sufficiently severe. The ESRB said it did not have an answer for why a deflationary scenario was not included in the stress test. The EBA stated that its methodology did not preclude supervisors from assessing other changes in inflation and interest rates on banks books through ongoing supervisory assessments.